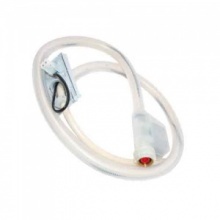 Genuine replacement aquastop water fill hose for your Bosch dishwasher. Genuine replacement aquastop water fill hose for your Neff dishwasher. 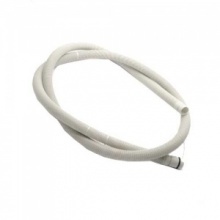 This flood proof fill hose is a high quality inlet hose for select washing machines and dishwashers. Genuine replacement 2 metre drain hose to fit Bosch dishwasher. Genuine replacement 2 metre drain hose to fit Neff dishwasher. 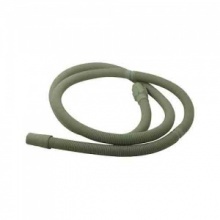 Genuine drain hose suitable to fit select Diplomat dishwashers. 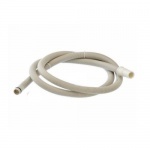 Compatible replacement drain hose to fit Bosch dishwasher models listed. 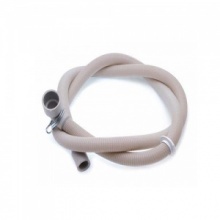 Compatible replacement drain hose to fit Neff dishwasher models listed. 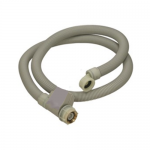 This genuine replacement drain hose fits select models of Creda dishwashers. 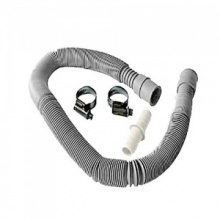 This quality universal drain hose extension kit comes complete with everything you need, includes clips and connector.